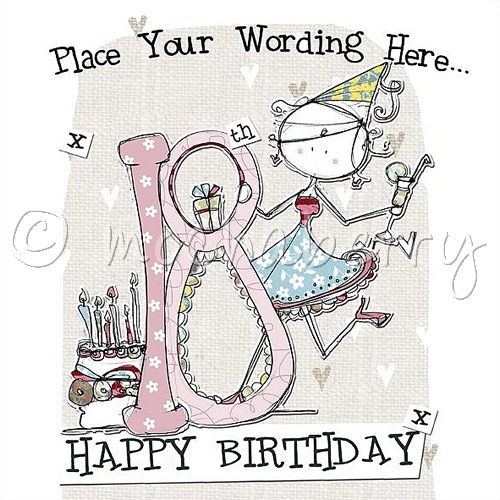 A modern drawing of a young lady holding the number '18' and celebrating with champagne alongside a present, cake, hearts, 'X's and the words 'HAPPY BIRTHDAY', coloured in shades of pink, brown and blue. Hand finished with glitter and various embellishments (not shown). suggestions for use: 18th birthday.